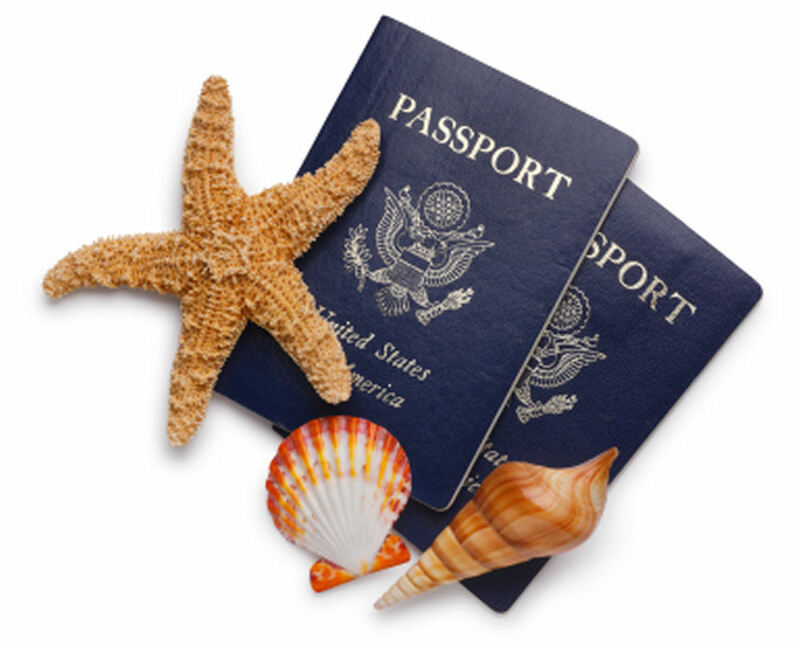 Permitted US Departure Dates - Now - November 18, 2019 & February 1 - February 7, 2020. Starting Price Departure Dates - April 27 - May 29, 2019*. About New Zealand is a subsidiary of About Australia, an Australian Owned & Operated Company in San Antonio, TX. We’re proudly ARC Accredited. ARC Agencies are the most select group of dedicated professionals in the U.S. travel industry and are recognized as having met stringent financial, personnel, and security requirements. We are partnered with Tourism Industry Leaders and can help you make the best selections for your vacation. Our Travel Experts have helped people travel for the best part of 20 years and look forward to helping you plan the trip of a life time! 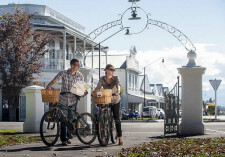 Napier inner city is one of the country’s most exciting city centres to explore. The layout is compact and very close in proximity to the sea and the picturesque seafront walkway. The palm tree lined boulevards and strip malls are home to an inviting mix of stylish and artistic specialty boutiques sprinkled amongst national chain stores. Many of the shops are locally owned and operated and the products on offer are often not found in other centres. The city is also recognized for its appealing, vibrant alfresco cafe scene. Savour the aroma and taste of freshly ground coffee beans while admiring the internationally renowned and impressive Art Deco architecture on surrounding buildings. The alpine village of Mount Cook, located in Aoraki Mount Cook National Park, provides a range of accommodation from an international style hotel to motels, backpackers and camping. 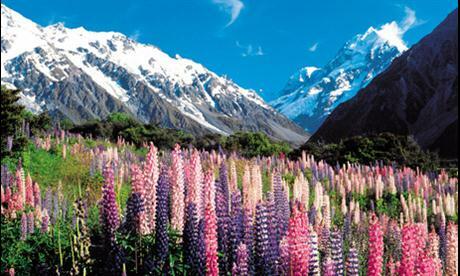 New Zealand’s highest mountain, Aoraki Mount Cook is dazzling. Be sure to visit New Zealand’s longest glacier, the Tasman. The attractive town of Te Anau lies nestled on the edge of this beautiful lake, with a spectacular backdrop of Mt Luxmore and the Murchison mountains. Te Anau provides a full range of services to visitors, and is the closest service base to Milford Sound, with a scenic 2 1/2 hour drive from Te Anau to Milford. Lake Te Anau is the largest lake in South Island, New Zealand. 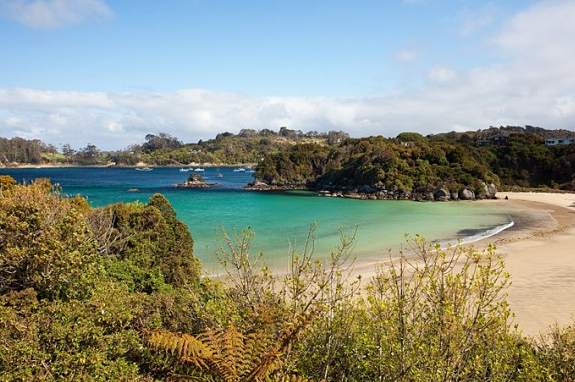 Then Travel on to Stewart Island which has a vast array of untouched land. The only settlement on the island is Oban and the population there is less than 400. The rainforest is a haven for bird-life which provides a wonderful chorus in the spring. Visit “the Fernery”, an art & craft gallery with an emphasis on natural history. 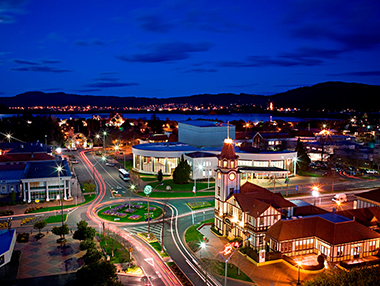 Dunedin, which is New Zealand’s oldest city, possesses a unique combination of cultural riches, fine architecture, and world-famous wildlife reserves on the Otago Peninsula. 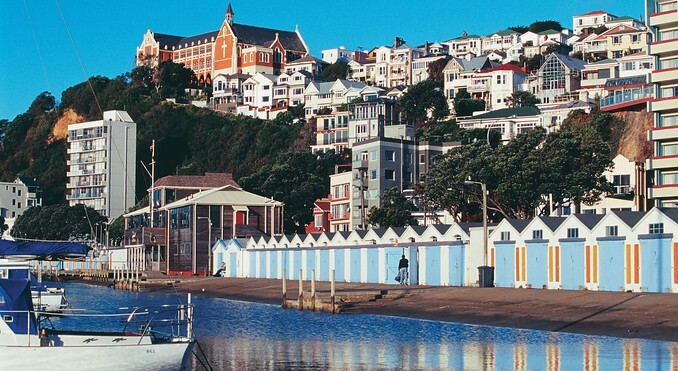 Dunedin offers a wide range of Restaurants, Arts & Crafts, Attractions and Eco Tours & Cruises to the Wildlife situated on the Otago Peninsula that is unique in the world. 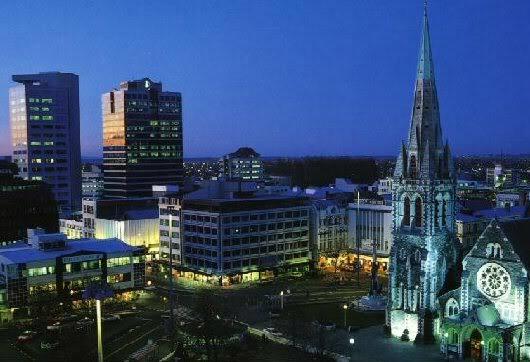 Dunedin is situated on the south-eastern coast of New Zealand’s South Island. 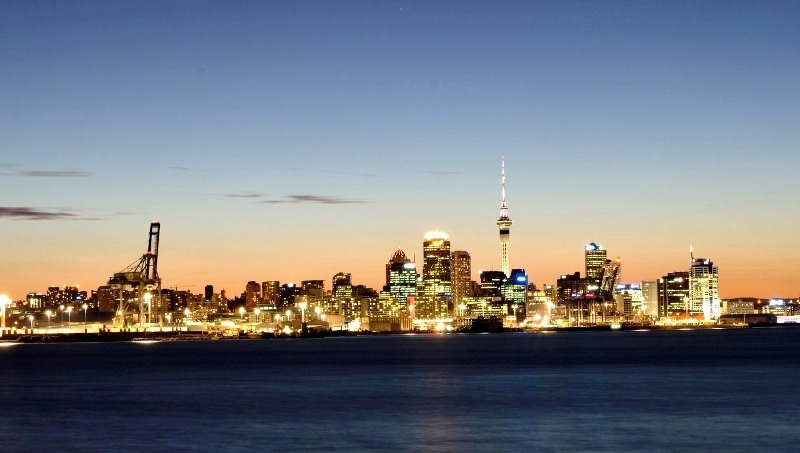 Travel to your accommodation in Auckland, where you will be staying whilst on vacation for 2 nights. Your guided tour will take you through over 250 metres of stunning underground scenery commencing with the impressive Cathedral. The acoustics in this particular cavern are world-renowned. Acclaimed New Zealand Diva, Dame Kiri Te Kanawa, has sung here and was delighted with the purity of the sound. Your tour begins at the upper entrance of the cave and proceeds along a low narrow passage to the Tomo, a deep limestone shaft. Your experienced tour guide will deliver a highly informative commentary about the formations and the history of the area. The highlight of your tour is an unrivalled boat trip through the spectacular Glowworm Grotto. The Boat Ride: Marvel at Mother Nature’s light display as you glide silently through the starry wonderland of the Glowworm Grotto. 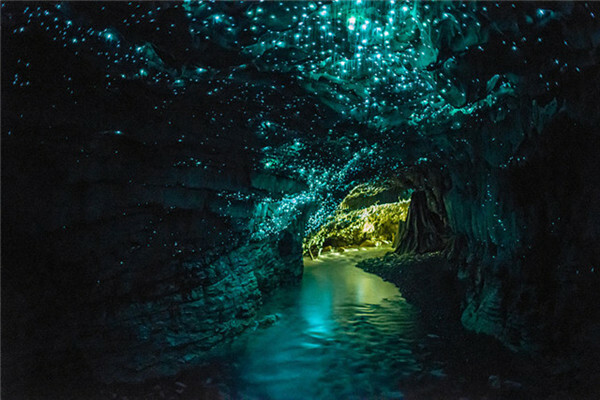 Meander underground along the Waitomo River and gaze in silence at the myriad of glow worm lights that make up the Glowworm Grotto. 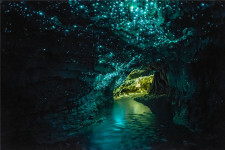 As you enter this galaxy of tiny living lights, you’ll immediately experience a serene ambience and be fascinated and intrigued by tiny glowworms that light your way. Your luxury accommodation is perfectly located on the edge of the CBD overlooking mystical Lake Rotorua. 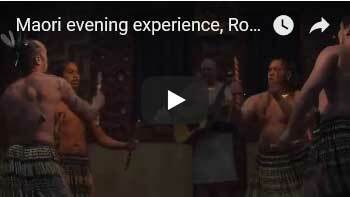 Just a brief stroll to the Rotorua town centre, Polynesian Spa and other key tourist activities. Offering modern comfort, these rooms are decorated in inviting tones and hues providing our guests with an enjoyable and relaxing stay. Featuring marble bathrooms and in-room amenities including air conditioning, mini bar, refrigerator, tea and coffee making facilities, internet access, Sky TV, personalised message & wakeup service, work desk, radio/alarm, hairdryer, in-room safe, iron and ironing board. You’ll also drive through large tracts of plantation pine forest.The resort town of Taupo sits on the edge of New Zealand’s largest lake, which is well stocked with sizeable trout. The town of Eskdale heralds your arrival in Napier. In 1931 a devastating earthquake nearly levelled this city. It was rebuilt in the style of the times, and is now considered the Art Deco Capital of the world. 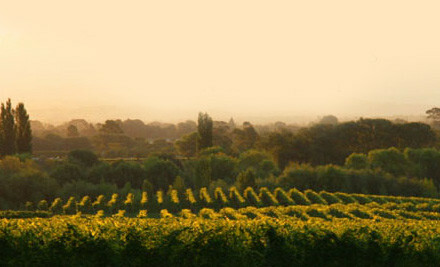 The vineyards of Hawke’s Bay are all within easy reach of Napier. Another attraction is the gannet colony at Cape Kidnappers. 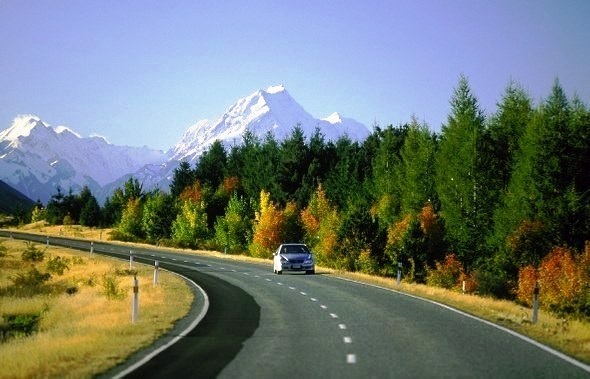 Start your self drive from Napier to Hastings. Hastings was devastated by a huge earthquake in 1931. As a result, the city has a great deal of remarkable Art Deco and Spanish Mission-style architecture. 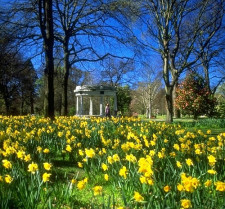 Fabulous parks and delicious ice cream are two other reasons to visit Hastings. In the apple and pear season, there’s no better place to be. Hastings is New Zealand’s leading pipfruit region. On the drive from Hastings, you’ll encounter a wildlife sanctuary at Mt Bruce and the legendary town of Eketahuna (in kiwi slang Eketahuna is the archetypal hick town). The Tararua Windfarm (it makes electricity out of thin air) is a little further north to see it, follow the road to Ballance. After the antique shops of Woodville you can inspect locally made knitwear in Dannevirke, a town originally settled by Scandinavians. 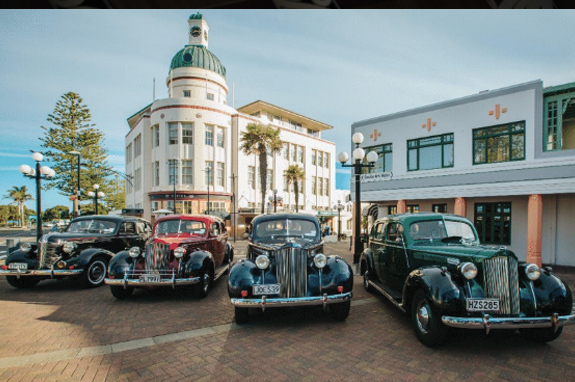 The rural service towns of Waipukurau and Waipawa both have historic buildings to view. Every year in March, Masterton hosts the international Golden Shears competition. Sheep shearing in the Wairarapa is both a sport and an art form. The town’s main park has an aviary, aquarium, deer park and a small boating lake. Or you could rediscover your childhood at the local toy museum. 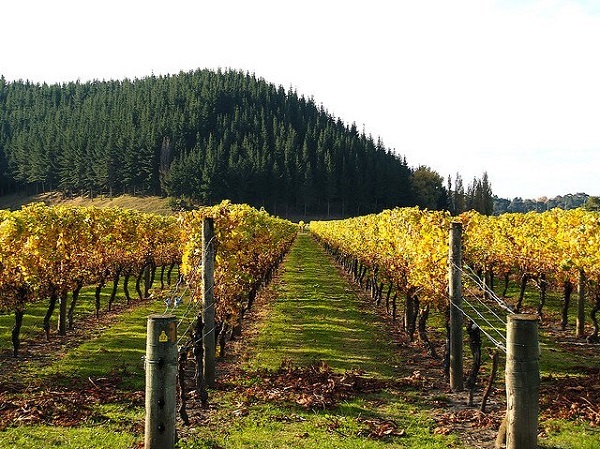 Enjoy the clean, green scenery as you drive north through the friendly townships of the Wairarapa. In Featherston you’ll find an interesting locomotive museum. 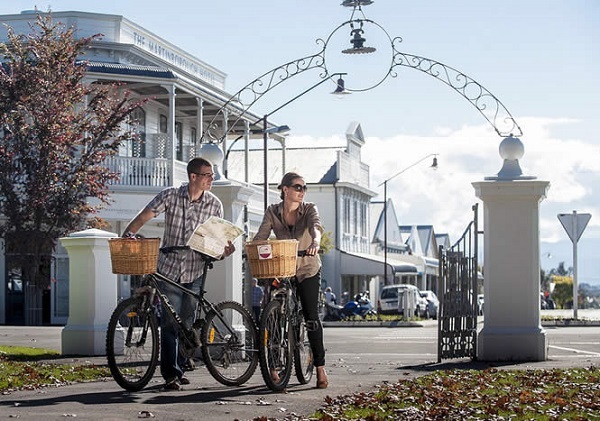 Greytown has many beautiful examples of Victorian architecture and a quaint museum take yourself on a self-guided walk. Carterton is a good place to shop for paua shell souvenirs it’s also a place to enjoy daffodils in the spring. 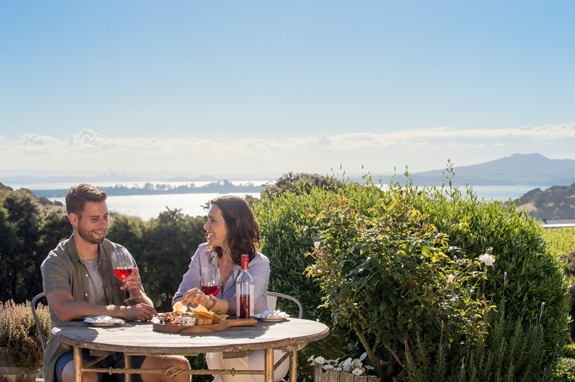 Your vacation accommodation offers you the opportunity to experience to a historic retreat offering luxury, boutique accommodation in the heart of one of New Zealand’s finest wine growing regions near Wellington. Established in 1882, the hotel offers character, comfort and old style personal attention making it ideal for a romantic weekend away, an indulgent escape or accommodation as part of a holiday or vacation. Diners can enjoy classic New Zealand country cuisine and a wide range of excellent wines in the spacious bistro, which spills out under the verandah onto the historic village square. A cosy open fire keeps pub-goers warm in the hotel’s friendly “local” and the evening sun goes down in the garden and petanque pitch set among climbing roses and old fashioned box hedging. 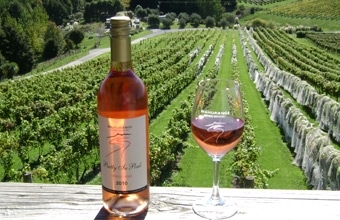 Enjoy this free day to exploe Martinborough. It is all about food, wine & having a fine time. Park yourself in a character cottage and discover the vineyards and restaurants. 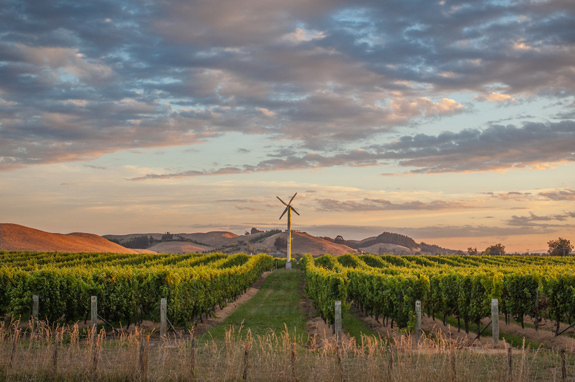 Bring your appetite to Martinborough, where Pinot Noir and excellent restaurants promise to ease you into a very happy state of mind. 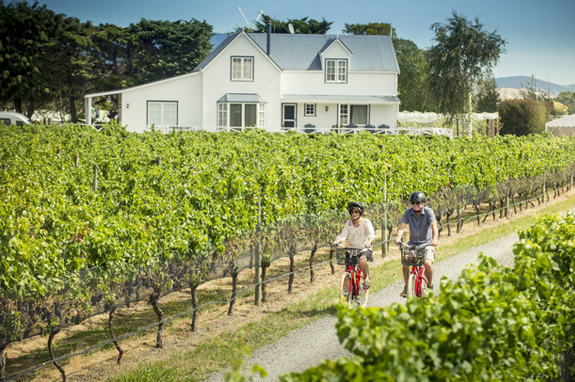 From Martinborough’s village centre you can stroll to any or all of the 30 local vineyards. Pick up a map from the visitors centre. If you can’t find the time or energy to wander from vineyard to vineyard, there’s a wine centre where you can sample many wines under one roof. 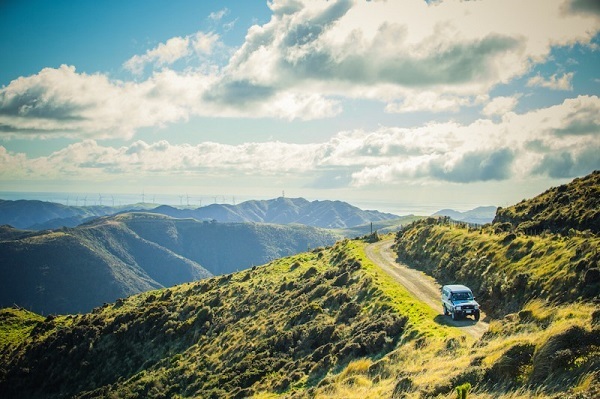 After the town of Featherston, which has an interesting locomotive museum, you’ll climb up and over the Rimutaka Range – great views in every direction. Once the mountains are behind you, it’s easy driving for the rest of your journey. 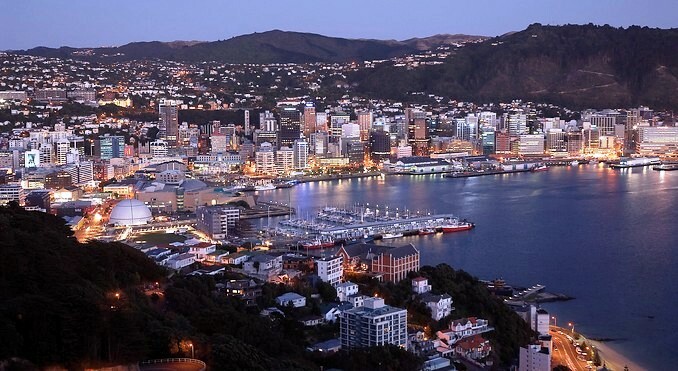 You’ll wind through the picturesque Hutt Valley then a fast moving motorway will whisk you into the city. An exhilarating journey of discovery through the Wellington and Wairarapa regions, visiting Middle Earth filming locations – the outskirts of the Shire, the Gardens of Isengard, the River Anduin, Helms Deep, and the white bridge of Lothlorien. This Lord of the Rings full day tour visits all of the filming locations for Rivendell where Frodo recovered from his knife attack; the Anduin River where the Fellowship voyaged to Amon Hen; the river where Aragorn was washed ashore after the attack of the Wargs; the Gardens of Isengard, the site of the Orcs Felling the Trees and where Gandalf rode to see Saruman; go to the Mount Victoria lookout and Buckland Forest where you can race to the Buckleberry Ferry and “Get off the Road”, where the Hobbits hid from the Nazgul/Black Riders and where they found the mushrooms on the Road; Dunharrow Rohirrim encampment; visit the quarry used for the filming of Helms Deep in Rohan and Minas Tirith in Gondor. You will enjoy an al fresco lunch at one of the region’s leading restaurants. You will be spellbound at the site of Lothlorien – the majestic Fernside Lodge. In 2000 Fernside’s lake was transformed into part of Lothlorien, and then to the Gladden fields. You will see where Smeagol and Deagol fought for the Ring right at lake-side. Fernside’s white bridge is a reminder of the bridge of Lothlorien. Fernside today remains a magical place and a must do for the most avid Lord of the Rings fans. This tour also visits the district of Miramar. Miramar is production central and the home of Peter Jackson and many of the cast and crew. 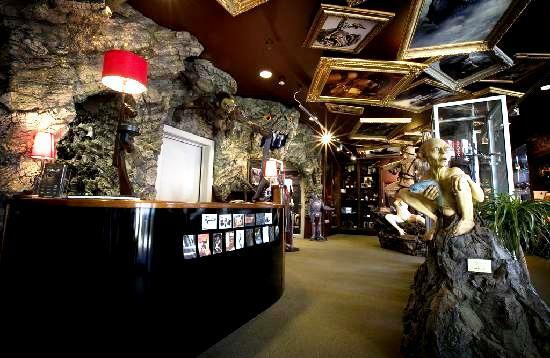 You will also visit the Weta Cave for an exclusive video of behind-the-scenes at Weta Workshop. 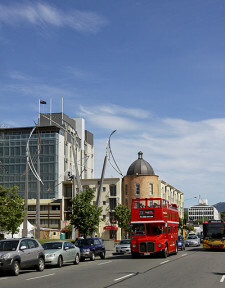 Weta Cave is Wellington’s premiere Lord of the Rings venue. 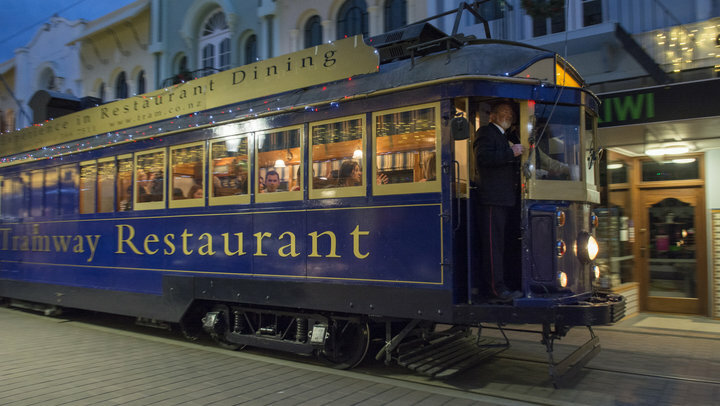 Experience the luxury of our air-conditioned, colonial style dining tram and be treated to the finest service, cuisine and beverages New Zealand has to offer. 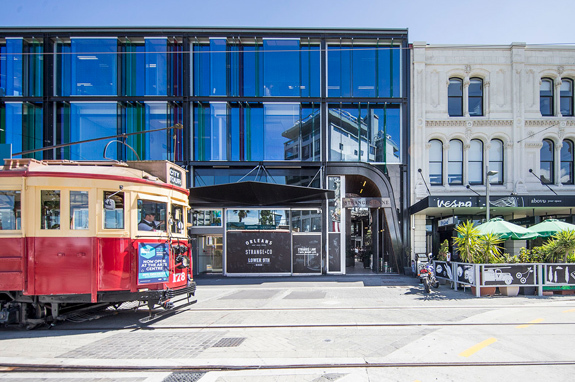 Incorporate fabulous dining with a sightseeing tour showcasing Christchurch’s inner city vibrancy and heritage – truly a mix of the old and the new. 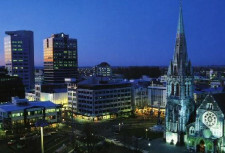 The Christchurch Tramway Restaurant dinner tour is the only Restaurant Tram in New Zealand and a unique activity not to be missed. The Tram Restaurant is not suitable for children under 10 years of age. Departs daily at 7pm. Customers must arrive at the departure point by 6.50pm. Drive inland through beautiful rural townships of Ashburton, Geraldine and Fairlie. Pass Burkes Pass to Lake Tekapo. A stop at the quaint Church of the Good Shepherd is popular. 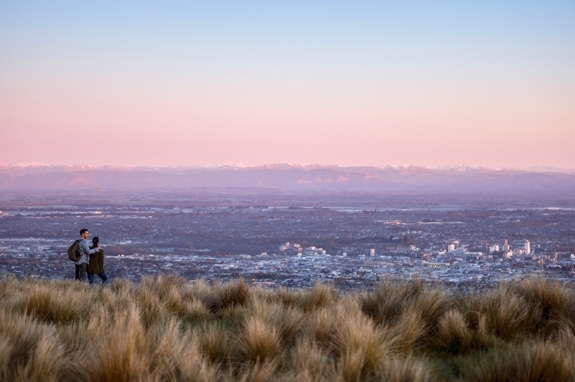 Continue to Mt Cook and enjoy the views of the surrounding Southern Alps. An optional scenic flight or a helicopter flight onto a glacier is available (own expense, subject to weather conditions). When you reach magnificent Mt. Cook, the country’s highest peak, skirt Lake Pukaki to view more of the glacial grandeur of the Southern Alps. 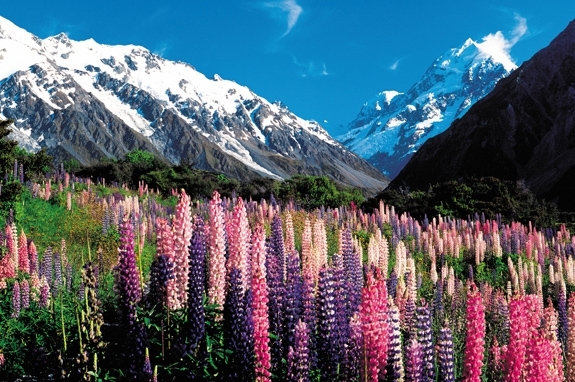 Mt Cook National Park is a World Heritage-listed area and is home to Australasia’s highest mountain, Aoraki Mt Cook Mackenzie – New Zealand’s treasure highland. Clear starry nights, brilliant sunny days, remarkable turquoise blue lakes, valleys of emerald green, snow-capped mountains and glaciers all contribute to a truly breathtaking experience. The Mackenzie Country landscape is spotted with glacial lakes and the bold man-made canal system which delivers hydro-generated energy to the cities and towns of New Zealand. Scenic flights from Lake Tekapo and Mount Cook afford breathtaking views over the Southern Alps and countryside, with ski-plane landings on the Tasman Glacier providing an unforgettable experience. All ski options are available, including heli-skiing and ski touring, and guides are available for climbing, tramping, snowboarding and glaciers exploration. Other activities include: golf, cycling, horse riding, hunting, fishing, boating, kayaking, mountaineering, heli-biking, bird watching, farm visits, garden tours, star gazing and more. Or maybe you’d just prefer a quiet place to sit and enjoy the view. Based at Mt Cook airport, this tour offers spectacular scenic flights throughout the Aoraki Mt Cook National Park. This experience is privileged to be able to land at a number of locations on the Tasman glacier and throughout the National Park. Join on a trip of a lifetime! 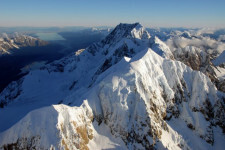 This flight is the ultimate way to view Aoraki/ Mt Cook and the spectacular surrounding National Park. Flying around the top of Aoraki Mt Cook viewing the unbelievable scenery that unfolds from the top of New Zealand’s highest peak. Combine this with landing on the Tasman Glacier and experiencing the -natural silence- of this very special place with so much to offer, hanging glaciers, rivers of ice and views of the incredible West Coast and Tasman Sea. Flying over the calved icebergs of the Tasman Terminal Lake on your return flight you will have experienced Aoraki Mt Cook at its finest. Doesn’t get any better than this! An amazing encounter with New Zealand’s largest glacier, the Tasman Glacier. Explore and learn about the ever-changing glacial landscape as you journey across the terminal lake in our custom-built boats with your experienced guides. Icebergs of every shape and size periodically tear away from the face of the glacier into the rapidly growing lake. Lateral moraines rear up almost 200m to remind us of the scale and greatness that the glacier has reached in previous times. With the effects of global warming and other climatic processes taking their toll on New Zealand glaciers, their retreat is imminent. Now approximately 27km long and 600m deep, the Tasman Glacier is melting and calving at an exponentially increasing rate. In recent years the Tasman Glacier has changed from a ‘melting’ to a ‘calving and melting’ terminus, resulting in a terminal lake that is rapidly increasing in size. The Aoraki Mackenzie International Dark Sky Reserve is a “gold-rated’ reserve, meaning the darkness of our night skies is almost unbeatable! Receive an introduction to the spectacular southern night sky with our informative astronomy guides. Using the naked eye, high powered binoculars and state-of-the-art telescopes, you will tour the Milky Way and beyond. Unleash your imagination as you explore our neighborhood in the universe including the Southern Cross, star clusters, planets, moons and distant galaxies. Today Self Drive from Mt. Cook to Queenstown. Snow capped mountains, lush greenery and piercing blue waters set the backdrop for the drive. Take advantage of those views and stop on the way to soak up the beautiful surroundings. 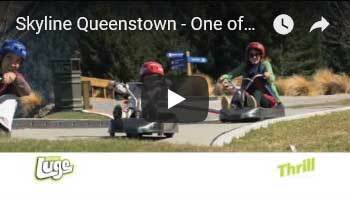 There’s so much to do in Queenstown it’s hard to know where to start. 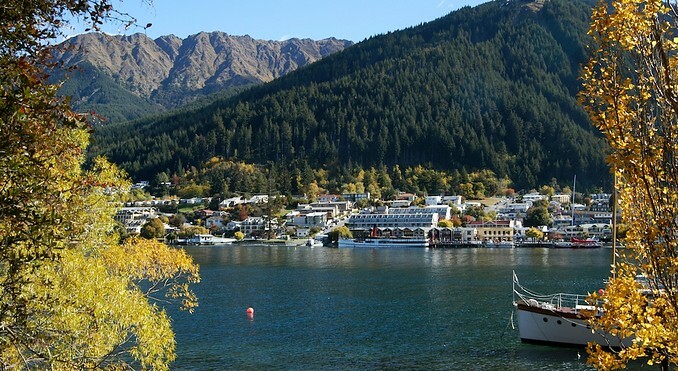 See the area in comfort and style with the half-day Queenstown Highlights tour. 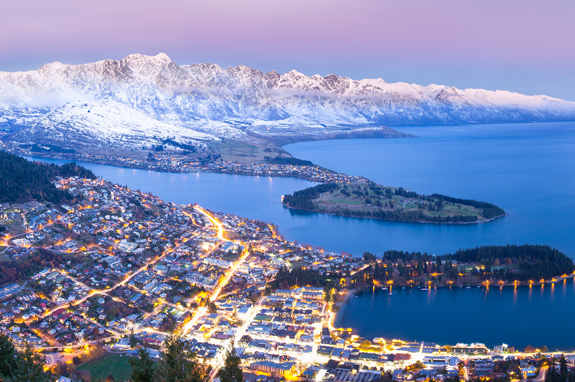 Queenstown Highlights packs a lot in and it’s very affordable. 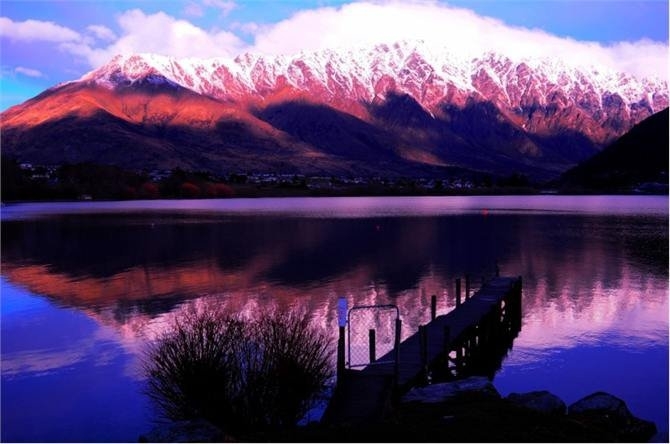 Enjoy stunning views of Lake Wakatipu and the Remarkable Mountains. 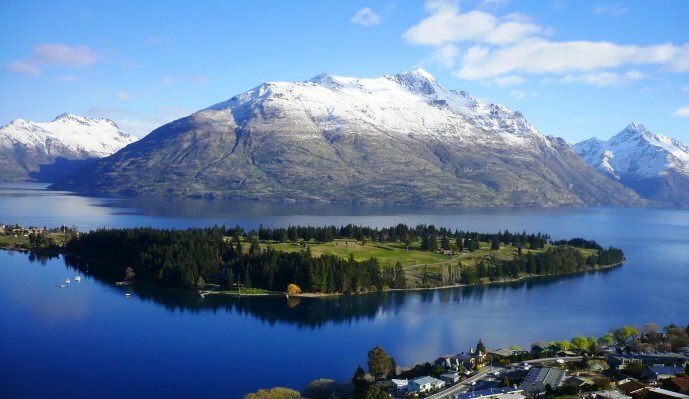 Tour Itinerary: Queenstown Hill Views: Spectacular birds eye views of Queenstown, Lake Wakatipu, the Remarkables and Lord of the Rings locations. Great photo opportunity. AJ Hackett Bungy Bridge: Discover the thrill of Bungy. Watch intrepid jumpers from the viewing deck. Maybe even jump yourself! Gibbston Valley Winery: Enjoy a selection of three wines produced on site. Enjoy the winery’s fine gift shop and the region’s only cheesery. Lord of the Rings Film Sites-Pillars of the Kings: Be transported to Middle Earth at the Kawarau Gorge, film location for the Pillars of the Kings. Great for photos. Captivating Arrowtown: Discover beautiful Arrowtown’s golden history and colonial architecture. Highlights are the Lakes District Museum and Chinese Miners’ Settlement. Plus boutique shopping, great cafes and restaurants. You will need to bring: A camera! In the winter months we recommend a warm jacket and in the summer months sunscreen, sunglasses and a sunhat. 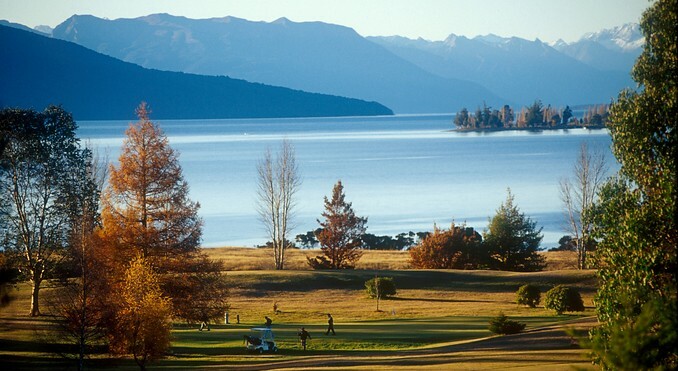 Tucked away on the shores of New Zealand’s second largest lake, Te Anau is an inviting South Island town. 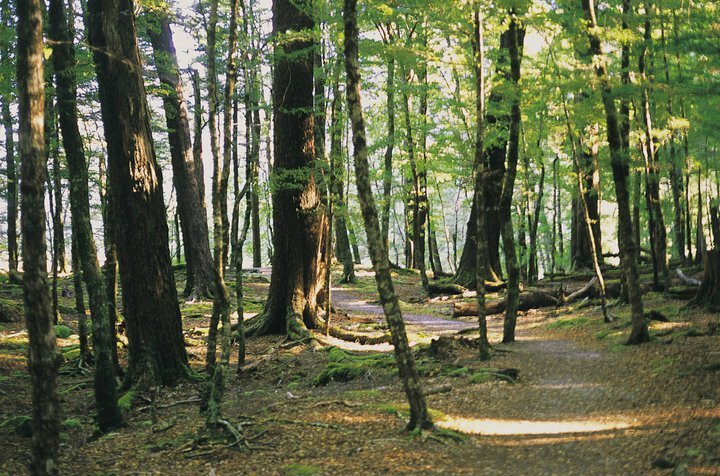 Te Anau is your gateway to the walking capital of the world. 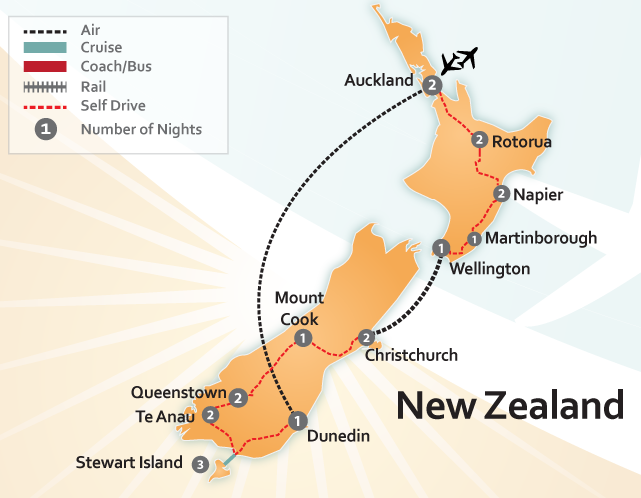 Discover the internationally renowned walks of the Milford Track,the Routeburn, Hollyford,Kepler Track and many more. 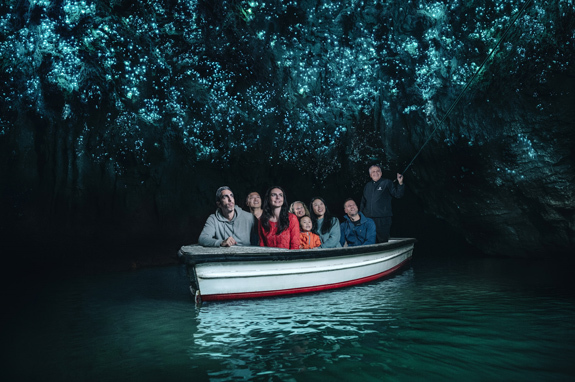 Cruise the remote depths of Milford and Doubtful Sounds, visit the spectacular lakes of Te Anau and Manapouri, experience Te Anau’s magical glowworm caves. In Fiordland you can go hiking, caving, boating, diving, biking, play golf, go fly fishing, sky dive. Soar over the wilderness on a scenic flight, explore the water on a kayaking adventure, breathe in the scents of native forest on a guided walk .Cruise the beauty of Milford or Doubtful sounds or simply enjoy a round of golf. Whatever your desire, whether it be leisure or activity you crave, there’s plenty to see and do. 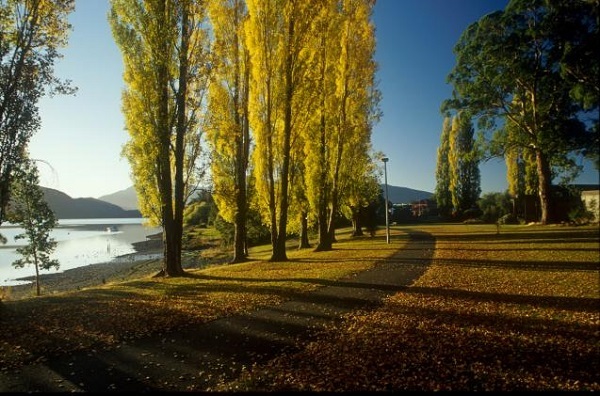 Relax or explore in and around Te Anau! The attractive town of Te Anau lies nestled on the edge of this beautiful lake, with a spectacular backdrop of Mt Luxmore and the Murchison mountains. 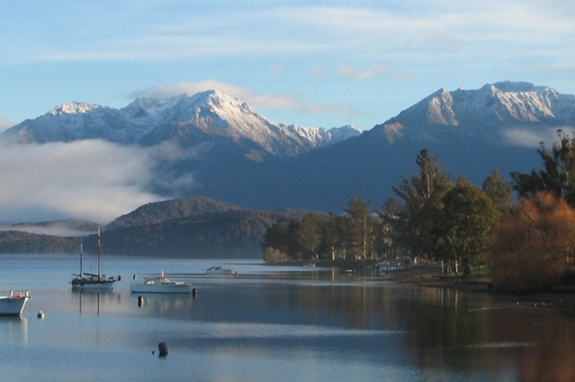 Te Anau is the ‘Gateway to Fiordland’ being the closest town to Milford Sound, with a scenic 2½ hour drive. The proximity of 3 of New Zealand’s 9 Great Walks places Te Anau firmly on the map as ‘The Walking Capital of the World’. Fiordland is home to The Milford Track, Kepler Track and Routeburn Track. 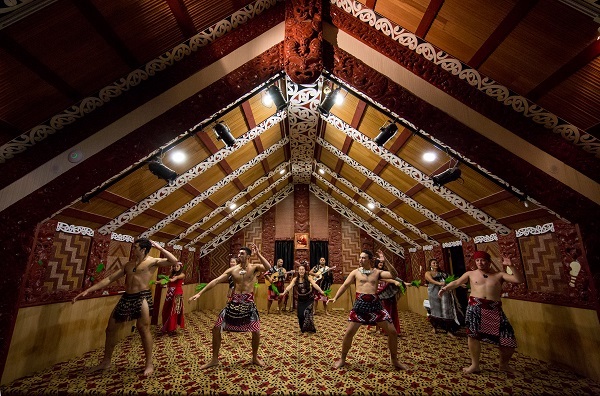 Take an unforgettable journey from Te Anau through the stunning Fiordland National Park to Milford Sound, New Zealand’s most famous tourist destination. Journey through the Southern Alps and along the picturesque Eglinton Valley, one of only a few road-accessible glacier valleys in New Zealand. Enjoy panoramic views of its ancient forests and gushing waterfalls from the comfort of your glass-roof coach. Take advantage of the photo opportunities on offer at the stunning Mirror Lakes, where on a calm day the surrounding mountain ranges are perfectly reflected in the still waters. After passing through the Homer Tunnel, a 1.2km passageway drilled into solid rock, experience The Chasm – a short walk over footbridges spanning a series of powerful, swirling waterfalls and rapids. After arriving at Milford Sound, you’ll board a purpose-built catamaran for a 1 3/4 hour Southern Discoveries Scenic Cruise, exploring the region that Rudyard Kipling called the eighth wonder of the world. 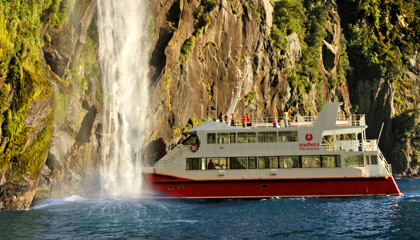 Cruise the length of the fiord and out to the Tasman Sea, enjoying the view and lively commentary from large outdoor decks or the warmth of the indoor seating.Glide past glacier-scarred rock walls and waterfalls that tumble through valleys and crash into the sea far below. Lush native forest clings to steep cliffs, while seals, penguins and dolphins are regular visitors to the icy waters. At the pinnacle of the sound, Mitre Peak rises dramatically from the depths to a height of 1,692 metres above sea level – a sight that has to be seen to be believed. 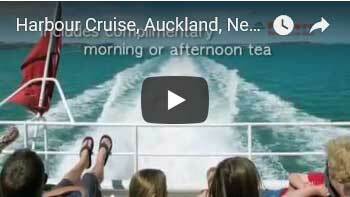 After your cruise, return to Te Anau by coach. Take a scenic 2.5 hour drive from Te Anau to Bluff. And remember if you are continuing your adventure on to Stewart Island, leave enough time to to catch the ferry in Bluff! Don’t worry, your rental car is also coming with you on the ferry. 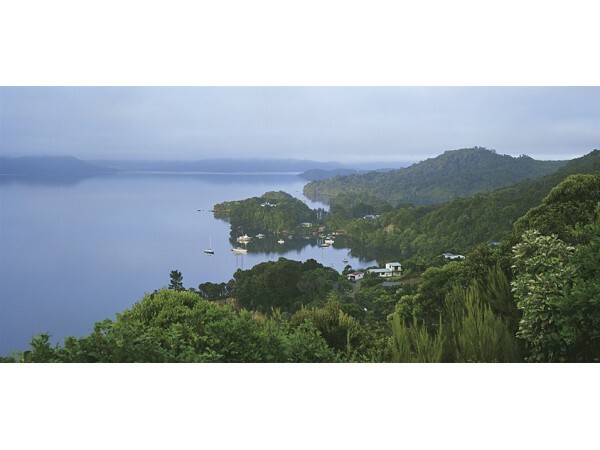 With georgous bays, beautiful sand beaches and densely forested hills, Stewart Island has a combination of landscapes. 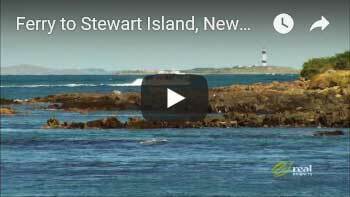 Stewart Island has been named `The Home of the Kiwi.` It has the highest number of accessible species in New Zealand.In just one day, one can usually access over 30 species. Bonus sitings can be, Bottlenose Dolphin, Fur Seal, Sealion, the occasional Sea Elephant and whales. A visit to Stewart Island isn’t complete without a browse through the Rakiura Museum. The museum has a collection of items and photographs of Stewart Island`s history. 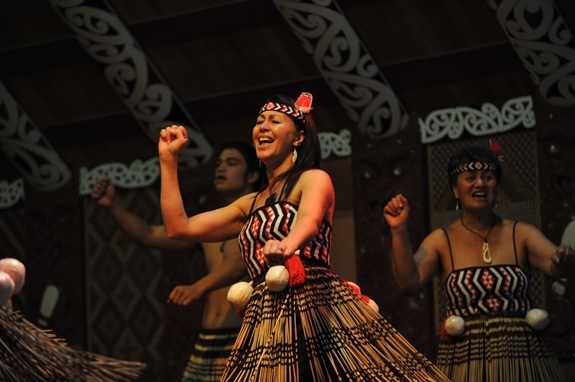 For example the Maori settlement, muttonbirding, fishing, timber milling, mining, boat building, schools and churches. This unique half day guided walk (4-5 hours) combines the best of what Stewart Island has to offer. 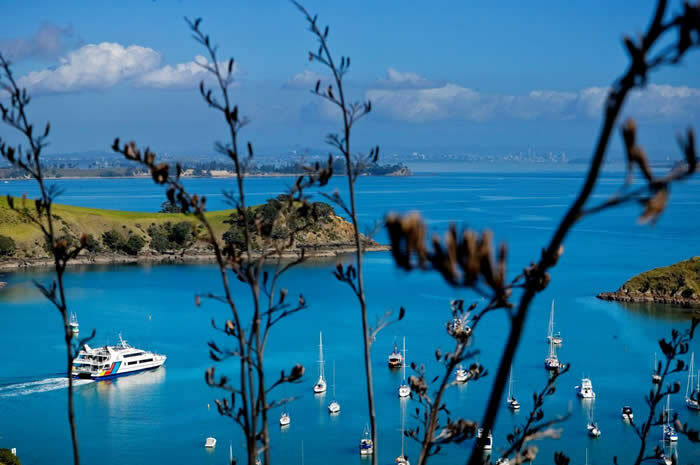 Starting with a 20 minute water taxi to Port William, a historic Maori and early logging site, you will have the opportunity to see a variety of seabirds. Once arrived at Port William our specialty local guide will lead you along the coastline through native bush and you will hear the stories of early Maori and European settlers. The other facet of the guided walk is interpretation of the flora and fauna of Stewart Island as you walk through stunning scenery. A variety of native birds can be seen. Ulva’s Guided Walks’ reputation for providing an unforgettable experience will make this new walk a must for anyone staying on Stewart Island! See endangered Kiwi in the wild on a 4 hour tour. At dusk, depart Halfmoon Bay in a catamaran for a cruise across Paterson Inlet to Little Glory Cove. During the cruise pass Ulva Island (a predator-free sanctuary) and learn about Stewart Island’s rich history. Once at Little Glory Cove, disembark onto a wharf at the southern part of the peninsula known as The Neck. 100% money back kiwi guarantee – any individual in the group who does NOT see a kiwi, we will refund 100% of the Wild Kiwi Encounter price. Upon exiting the Scenic Ferry from Stewart Island, pick up your rental car in Bluff and continue your vacation by making your way to Dunedin. The drive to Dunedin is the perfect way to take in sights of iconic New Zealand hills and lush farmland. Pit-stop at Invercargill Brewery to pick up some local New Zealand brew to take to your accommodation in Dunedin. A tasty reminder of your drive through the Southern New Zealand tip. 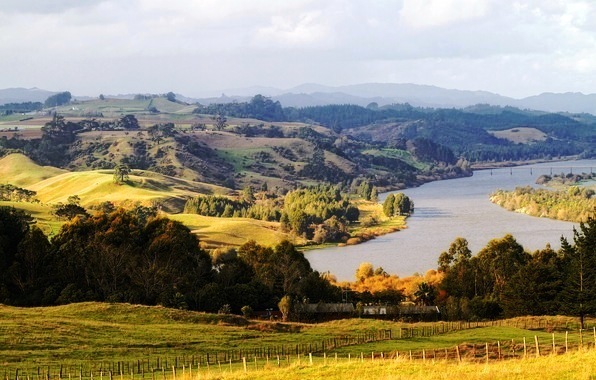 Head north-east for a scenic route along Highway 90 through New Zealand’s Blue Mountains. This route offers up an amazing look at beautiful forest and the turquoise waters of the Clutha River. Beautiful native plants and bright yellow wildflowers line this pristine, hilly drive. If you have a bit more time, first head east and bee-line for Caitlins Forest Park. 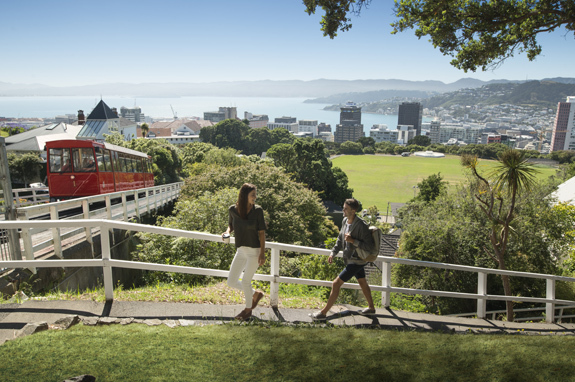 This stunning park contains some of New Zealand’s best nature, wildlife and scenic places, including Whitehead Cliffs, Matai Falls and Nugget Point, featuring one of New Zealand’s oldest lighthouses. If you’re craving a bite to eat, stop at Cafe 55 en route through Otago. This quirky coffee shop and diner serves local favorites, homemade pastries and strong coffee. The perfect stop to recharge and become one with the locals on your drive. Escape to a different world. Your vacation accommodation is located twenty minutes from Dunedin, New Zealand’s oldest city, in a quiet and rural setting. The lodge is a new re-creation of a colonial farm building set in 35 acres of award winning gardens and grounds on Dunedin’s premier landmark, Larnach Castle. Relax from your travel in one of the boutique rooms, each with unique theme and all with ensuite bathrooms. Travel to and experience the Royal Albatross Colony, The Yellow Eyed Penguin Reserve, Monarch Wildlife Cruises and Glenfalloch Gardens. 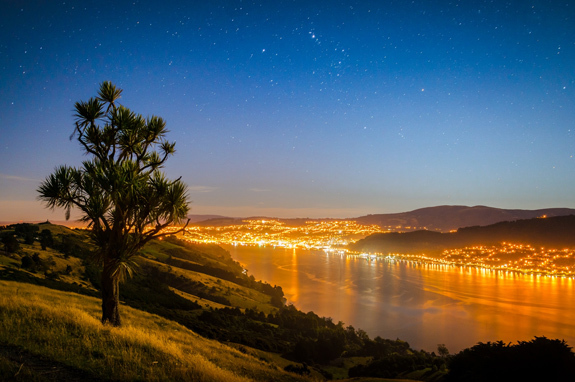 Rest, Relax or Explore Dunedin.  There is so much to do in Dunedin. Visit the city centre – which is shaped like an Octagon and see the 100 year old statue of poet Robbie Burns. Enjoy the architecture, especially the Old Railway Station a couple of blocks from the city centre. 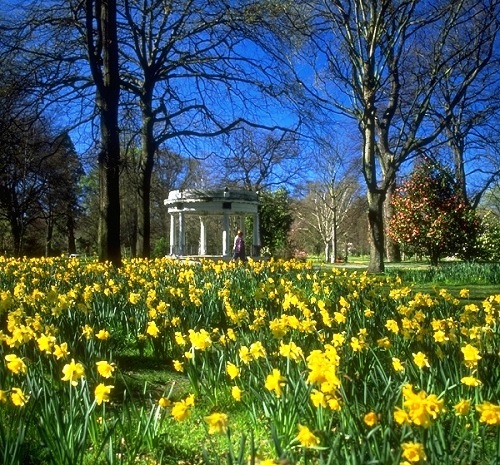 Dunedin Botanical Gardens – occupying over 123 acres in the north end of the city is an excellent place for a several-hour stroll. 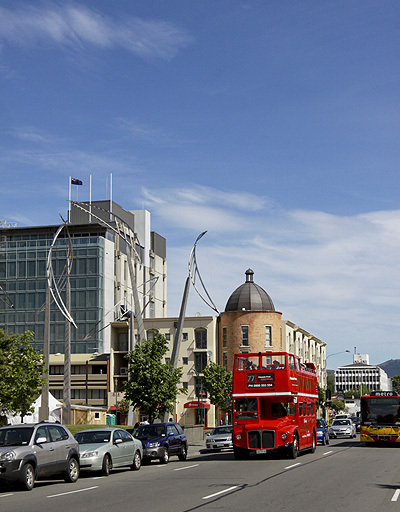 Baldwin Street is located in Dunedin’s North East Valley suburb. According to the Guinness Book of Records it is the steepest street in the world. Take the ten minute walk to the top or drive up to enjoy the view looking down! There is a drinking fountain at the top. 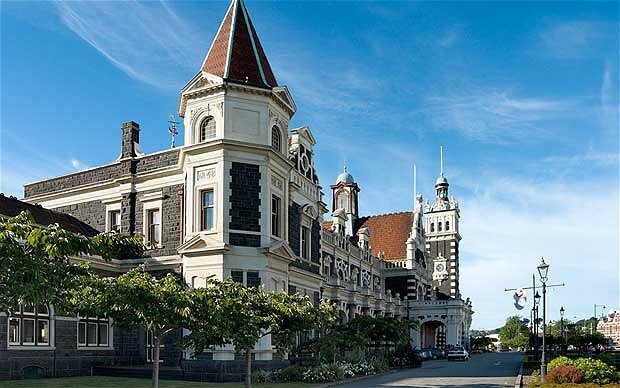 Don’t forget Larnach Castle, the only castle in New Zealand; it’s very pretty but technically only a manor house. See the visitor’s centre in the Octagon for further information. Enjoy your guided tour cruise along Otago Peninsula, see wildlife and also experience a tour of Larnach Castle. 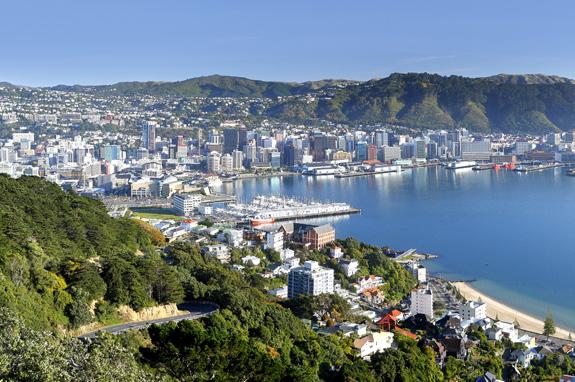 Depart Dunedin for a scenic drive along Otago Peninsula, enjoying spectacular harbour and ocean views. 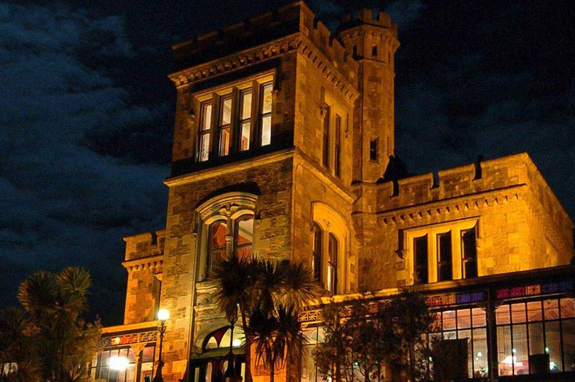 Arrive at Larnach Castle for a fully guided tour of New Zealands only castle, built in 1871. Learn the scandalous, exciting and tragic history of the Castle. See the magnificent carved ceilings, antiques and craftsmanship. Enjoy the beauty of the gardens of international significance and breathtaking views. Continue your tour to the tip of the peninsula for a cruise aboard the M.V.Monarch. 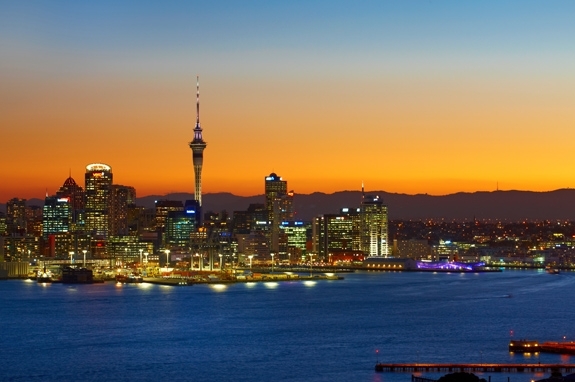 Enjoy unrivalled wildlife viewing with 3 time NZ Tourism Award winners. See what cannot be seen from the land. Albatross, Seals and up to 20 species of bird and marine life in their undisturbed and otherwise inaccessible environment. 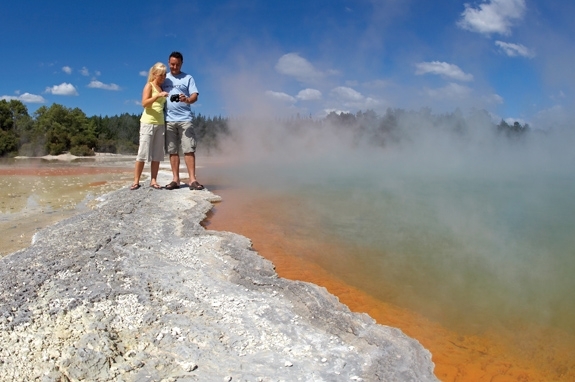 Learn the fascinating history and geology of the area. During the summer months you will return to the city by harbourside drive around 2pm, with plenty of time to explore other city attractions. During the winter months you will return by cruise around 5pm, to enjoy a relaxing evening.